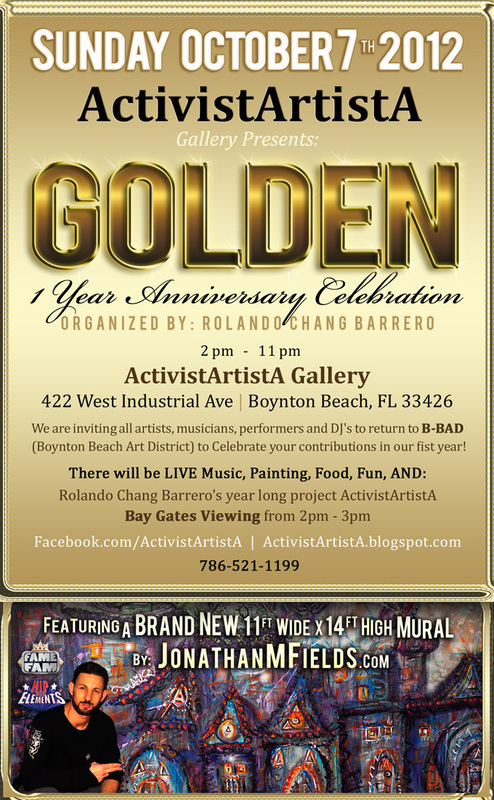 In 2012, I was blessed with the opportunity to paint the entrance mural to the Boynton Beach Art District as part of the 1 year Anniversary of the district. 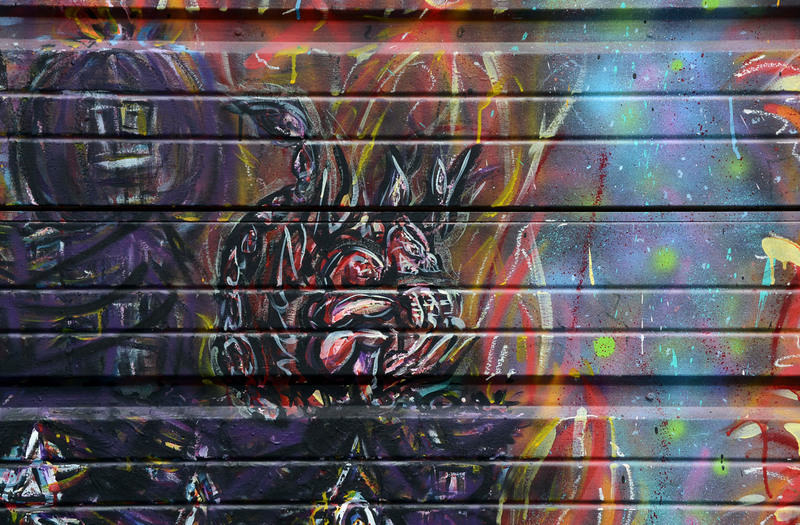 It is located on the director of the districts personal art studio, ActavistArtista. 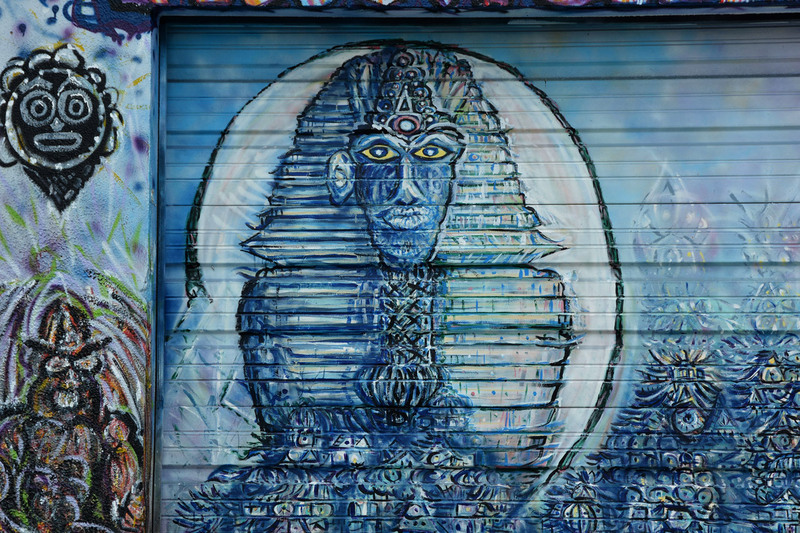 It’s a 14’x14′ Street Art Mural and was painted using a combination of Spray Paint, Enamel, Latex & Oil Sticks. 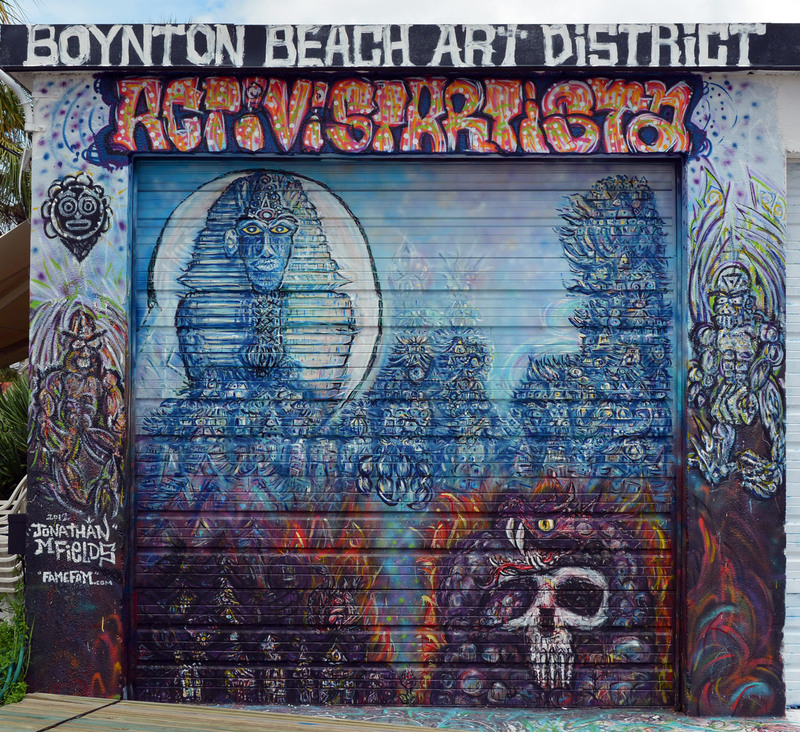 It’s officially part of the Boynton Beach Art District Bay Gates Project. 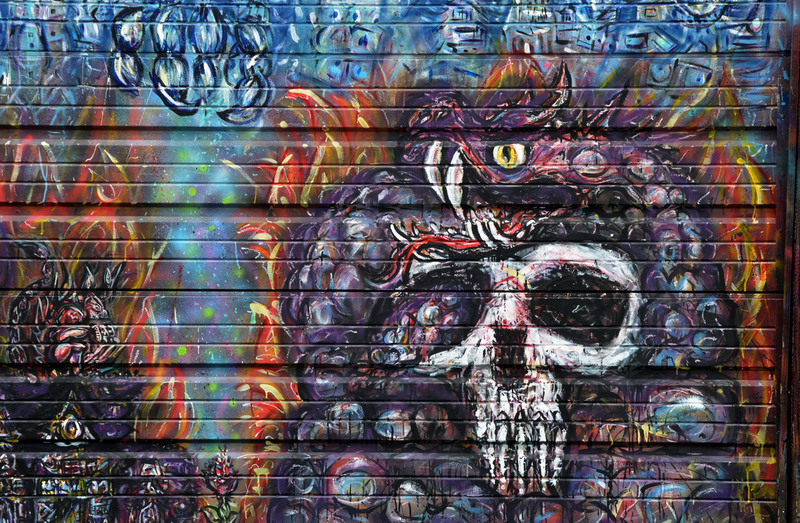 It stayed up for 2 years and was featured on television, magazines, newspapers and many websites. It was also the backdrop for the main stage of all the music performances at the districts’ weekly events and art walks. 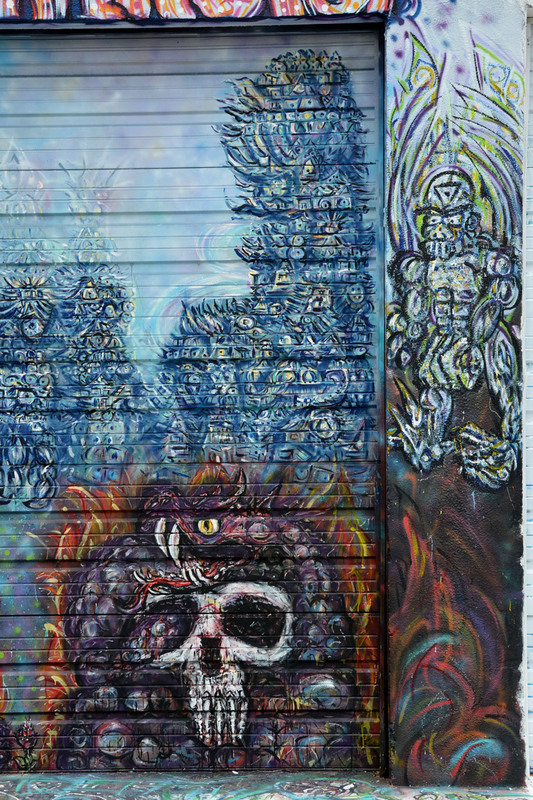 A couple years later, there was a new theme for the Bay Gates Project and I was asked to do another mural in it’s place. I will create a separate post about that piece shortly.